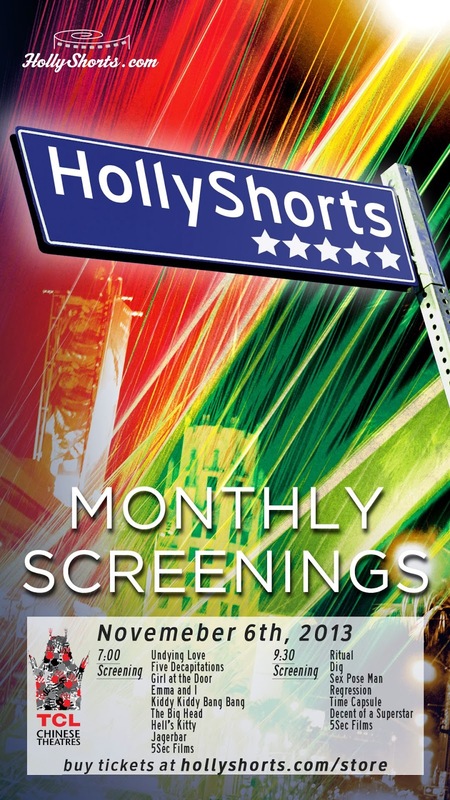 I'm proud to announce that from short film Dig has been selected to screen at the HollyShorts Monthly Screening series. The film will be shown on November 6th, 2013 @ 9:30pm with a Q&A to follow. This may be the last time to see Dig on the big screen. Having played at the Chinese 6 theaters twice before (HollyShorts 2011 and Dances with Films 2011) I can say that it's an awesome experience. For those of you new to my blog or the podcast, I welcome you to join us for a night of short films.